Reduce the size of your thighs - not empty promises - clinically proven to be effective. 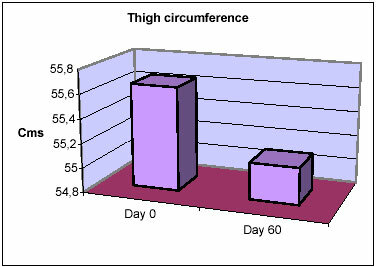 During the in vivo testing of one of our one ingredients, the reduction of the size of the thighs was noted as in the graph below. Should you be looking at ways to reduce the size of your thighs, it would be interesting to also look at the other positive effects that Cellumend exhibited during clinical testing. The clinical tests showed that 85% of patients showed a significant decrease of 0.5 cm to 1.0 cm in the size of the thighs. 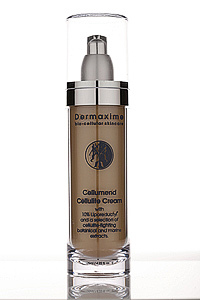 This is only one of the parameters used to determine the efficiency of the one active ingredient - and from this isolated result, it can be seen that Cellumend is an effective help to reduce cellulite.